Since I arrived in Ottawa I have been thinking of ways to make my day-to-day life more sustainable. An obvious choice was to use transit year round. It also makes financial sense because the wear and tear on my car driving around the city in addition to the gas I burn would be far more expensive than a bus pass (OC Transpo sells an adult pass for $94 per month). 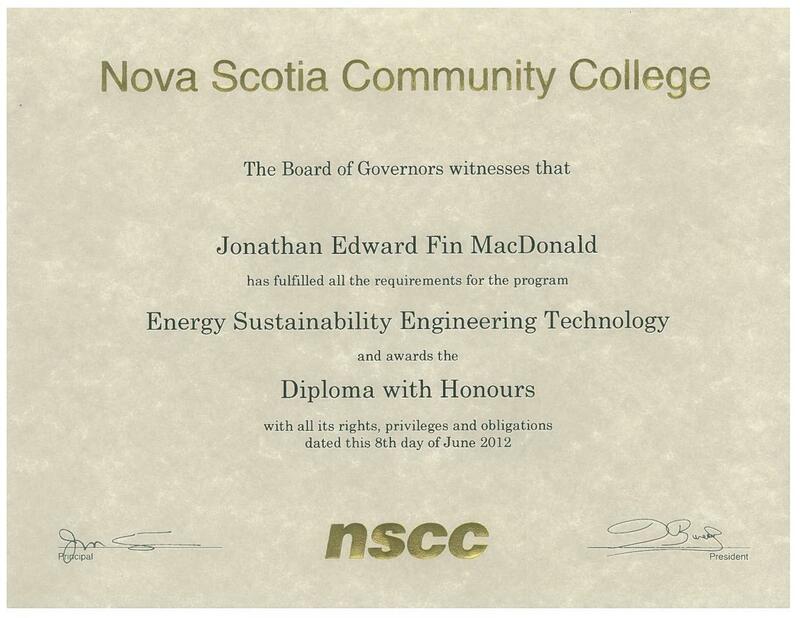 I was interested in finding out what the difference in the carbon footprint was. I own a 2003 Hyundai Elantra and it certainly doesn’t get the fuel efficiency that it did when it rolled out of the factory. I’ve done some searching online and I’m satisfied that I can do my calculations using a fuel efficiency of 9.4 Liters per 100 km (25 miles per gallon or 0.09 kilometers per liter). My commute would be 6 km, the traffic moves steadily with very little idling. Calculating the fuel efficiency of the bus is where things become a little more complex. I ride the bus during rush hour. The bus has anywhere from 25-30 people on it, and my ride takes about 30 minutes. It takes a less direct route to my office, which is 7.1 km. The problem is that outside of rush hour the OCTranspo buses drive around with very few people on them, and also need to drive to and from the start of their routes at shift change with nobody but the driver on board. 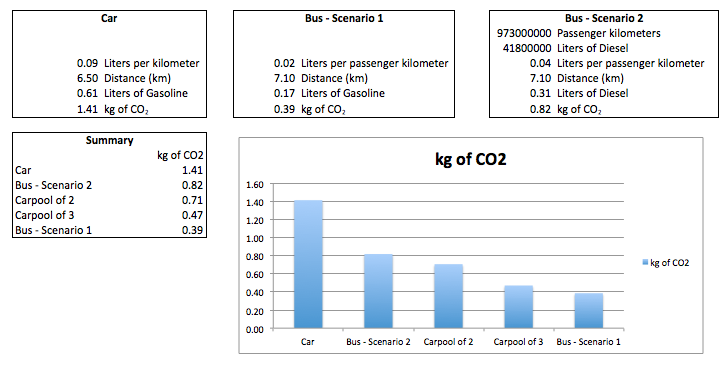 For this reason I am going to calculate the energy footprint of two bus scenarios. Scenario 1 will only consider the bus ride I take to and from work and ignore everything else. Scenario 2 will consider the total fuel OCTranspo burns in a year, and how many total passenger kilometers it delivers to customers. According to the most recent OCTranspo Facts and Figures report, they provided 973 million passenger kilometers and burned 41.8 million liters of diesel fuel. The end result is that no matter how you measure it, the bus has less of an impact than my car. Interestingly enough though if I were to carpool I could reduce my impact into the same range as the bus, but have a much more convenient trip. The problem with carpooling is that it is hard to organize and not always an option.